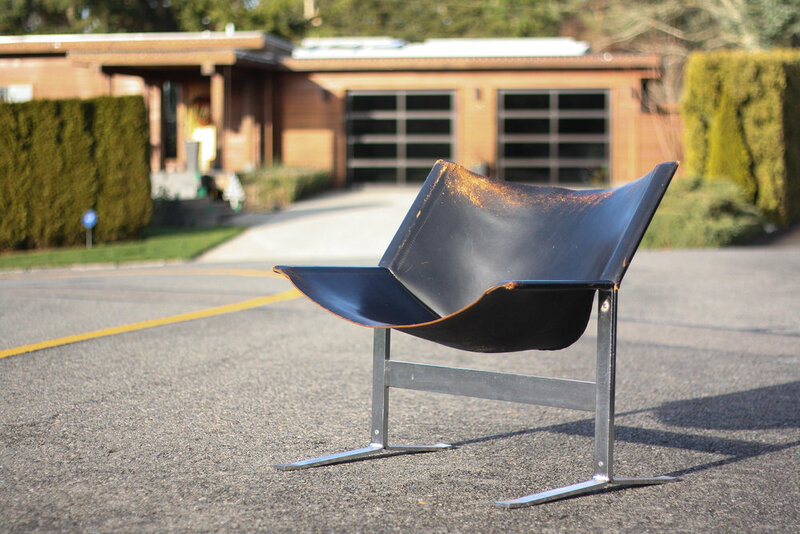 Designed in 1963 by renowned Australian designer Clement Meadmore for Leif Wessman Associates, Inc., this model 248 sling chair is a stunning and functional piece of art. 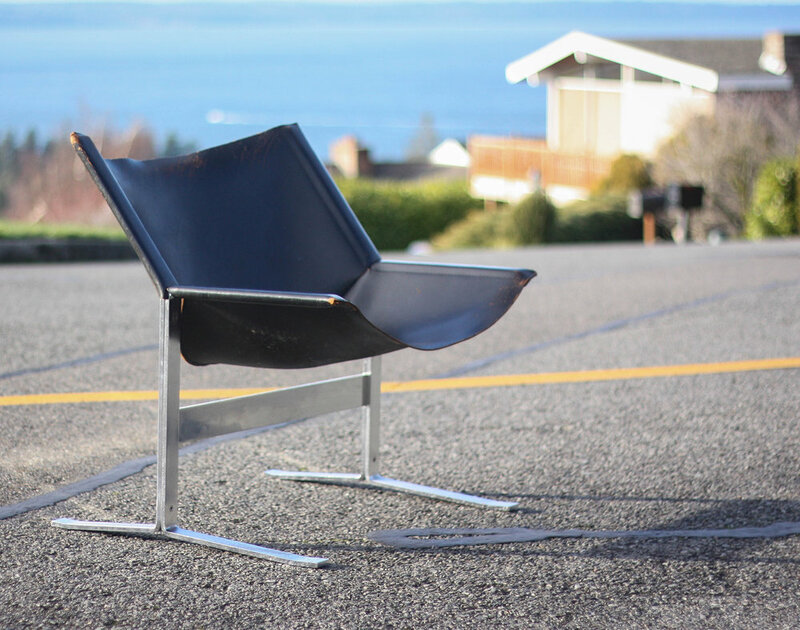 Featured in the Museum of Modern Art, the model 248 chair is constructed of flat bar steel and genuine leather. 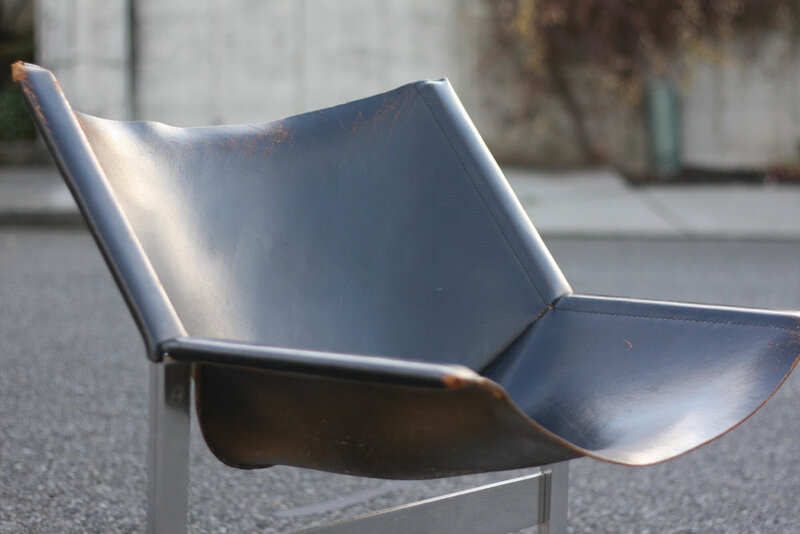 As seen in the photos, this vintage chair has a beautiful patina with wear to the leather sling and frame. 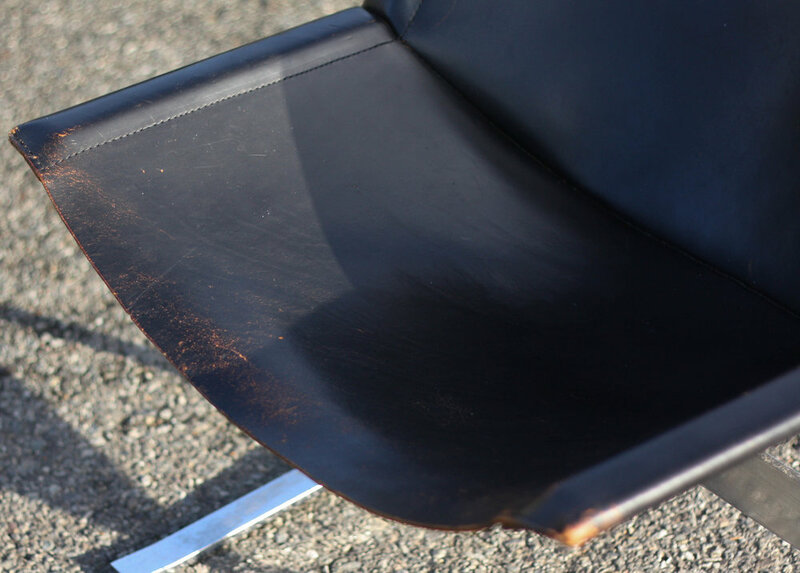 If you felt so inclined, you could have the frame polished and a new sling made, but personally with thing this chair exhibits the perfect amount of history. 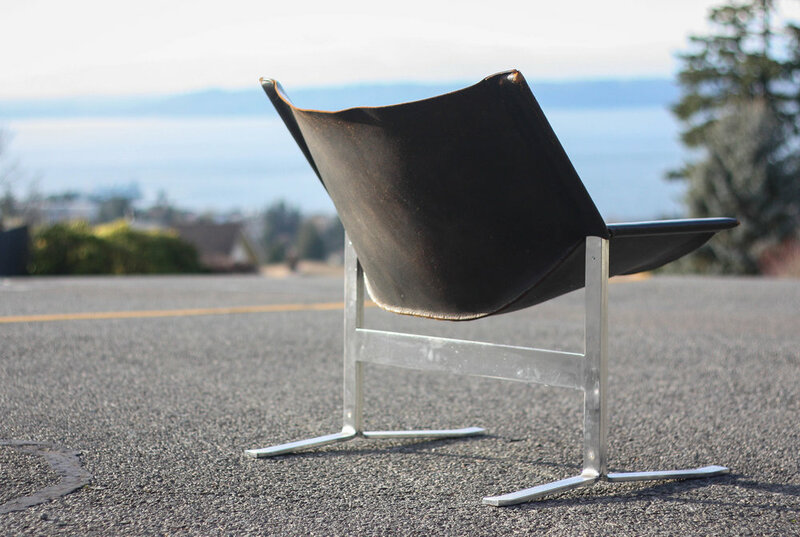 Although it appears as though it is an armless chair, when you sit down, the leather wrapped sides act as the perfect resting place for your forearm.